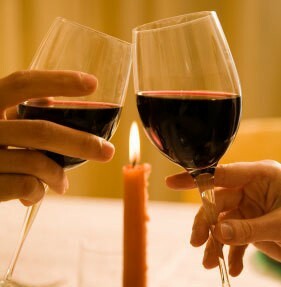 Dates don’t take place at home- Light all the candles you want, dates don’t happen in the crib (or dorm). It takes two- Well obviously two people but I mean in the sense, dates usually consist of two activities, looking back there were times I went out with a girl and we went our separate ways after, needless to say I ended up in the friend zone after. Dates are made in advance- This one I learned the hard way. Like I said earlier, I typically like to date to do things I want to do anyway. If I’m hungry I’ll suggest we get something to eat, if I want to see a certain movie I’ll ask you to go. Every relationship advice guru in the world tells women never accept same day dates but I try anyway. Also women take 37593 years to get ready so they need the prep time. Looking back on dates or hang outs I had and what ultimately happened later on, it was pretty much clear where I went wrong in drawing the line between the two. For example, my last “date” with Broke Poem Girl (that was like a while ago, I really should get out more), she actually asked me out t she did say “let’s go to brunch” so I thought okay we’re just hanging, then she changed the date to the slam and wanted to get dolled up, so I thought okay maybe it’s a date. I went business casual she had on skinny jeans, Hangout. Then after the show, she suggested somewhere else, date. However, I had lost entirely too much interest and called it a night. Hangout. Another time, I had asked a girl out to dinner and drinks, Date? She just invited me over and we ordered in, Hangout. I also got welp it’s getting late, kickout. It’s cold out here.